First of all, I’m sorry for being a loser and missing Blogmas two days in a row…. Watch Less Netflix, Go Outside More, currently I spend way too much time watching Netflix and not enough time playing outside. This is sad because I love going outside. Going on hikes, going exploring, etc. So this is definitely a Big goal for 2017. Explore New Places, you probably saw my post of places that I want to visit next year, if not you can find it here. I crave adventures, I seriously want to see the whole world and since I’m at a place in my life where I don’t have any huge responsibilities (kids, house, etc) it seems like the perfect time to travel. Take More Portraits…of people other than my friends. I love taking photos, and it’s my dream to make it a full time job. Right now, I mostly shoot my friends, although I am starting to branch out. One of my goals that kind of goes hand and hand with traveling is to photograph more people! Treat My Body Better, I’m not saying I do horrible now but… Honestly, I could do so much better. I eat way too much junk food and exercise way too little. I really hope to improve these things in 2017 so that I can feel healthier and stronger! Stop Stressing As Much, I think this is one of my biggest flaws… I spend so much time worrying about everything; school, the future, friendships, just everything. I am aiming to shut this down in 2017. There are so many things that relive stress that I am not doing…Maybe I’ll write a post about all my methods to relive stress sometime. Just to give myself some inspiration and accountability. So, these are my main goals for 2017! I might do another updated post on these around New Years if they change! 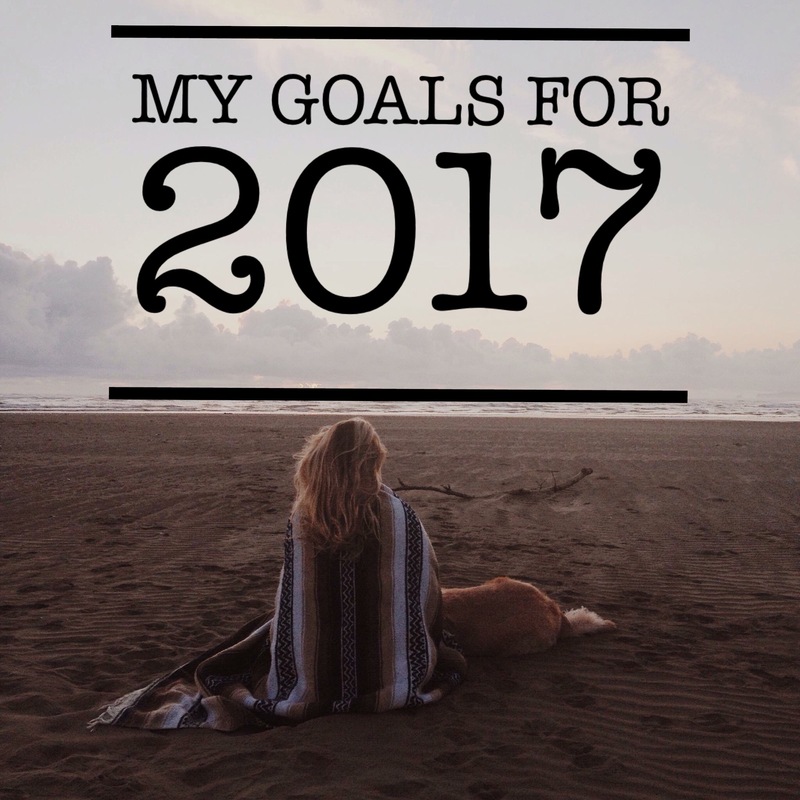 What are your goals for the upcoming year? Can you do an update on your goals for 2017 and places you’ve wanted to visit in 2017? The year is almost over! How far did you get?